Barbados has signaled that as of December 31, 2018, they will no longer be issuing licences for International Business Companies (IBC) and International Societies with Restricted Liability (ISRL) entities. What are IBCs and ISRLs? IBCs and ISRLs are entities formed in Barbados that have restrictions on conducting business with residents of Barbados, and are charged income tax at a lower rate and are exempt from certain other taxes. An ISRL is a hybrid entity, which may be recognized as a corporation or a partnership, similar to a limited liability company and is designed mainly for international business transactions. An ISRL entity is not permitted to provide goods or services to residents of Barbados, nor acquire or hold land in Barbados. An IBC is a corporation that can carry on the business of manufacturing, trade or commerce from within Barbados, for consumption outside of Barbados. Notwithstanding the announcement, we understand that applications for new IBC and ISRL entities are still being accepted. However, the plans to repeal these tax regimes have implications and may create uncertainty for entities that have, or may intend to make use of, these entities. Why are these regimes being repealed? These changes are in response to the Organisation for Economic Co-operation and Development’s (OECD) Forum on Harmful Tax Practices (FHTP), which monitors and reviews tax practices of member countries. The OECD identifies features of tax regimes that it considers create opportunities for Base Erosion and Profit Shifting (BEPS). OECD’s BEPS initiative works to identify and counter what it describes as ‘harmful tax practices’ and set out ways for governments to address tax avoidance and ensure that profits are taxed where economic activity is performed and value is created. BEPS, in the OECD’s view, allows international companies to use tax planning and strategies to avoid or reduce taxation in their country, by exploiting gaps and mismatches in tax rules to shift profits to low or no-tax jurisdictions. The BEPS initiative is important to maintain integrity of the tax regimes, fairness and prevent the use of tax rates as a method to attract or retain economic activity in a jurisdiction. The OECD has provided an Action Plan on BEPS that identifies fifteen specific action items intended to address BEPS. The OECD identifies four actions items that are considered as necessary and that all member jurisdictions have committed to implementing. These minimum standards include Recommendations on Harmful Tax Practices (Action 5), Treaty Abuse (Action 6), Country by Country Reporting (Action 13) and Dispute Resolution (Action 14). Compliance with the minimum standards ensures a level playing field among the members. What does this mean for existing IBCs and ISRLs in Barbados? Entities already established as at December 31, 2018 will be subject to grandfathering provisions until June 2021. This means that the existing regime will continue to apply to existing entities until June 2021. The new regime will then apply to all entities established after December 31, 2018. Barbados intends to establish a new regime in 2019. However, unfortunately the details of this new regime are not yet available. Even though the Ministry of International Business and Industry in Barbados has announced that they will seek to maintain benefits to the industry so far as possible, we will have to wait and see what the ‘new’ regulations affecting IBC and ISRL entities provide. No immediate actions are required for current investors in the existing IBC and ISRL regimes. BEPS is significant for developing countries, such as Jamaica, due to reliance on corporate income tax. The OECD co-operates closely with a large number of international organizations such as the International Monetary Fund (IMF) and the World Bank to strengthen their co-operation on tax issues. Generally, countries that comply with OECD recommendation items are seen as strengthening fairness and transparency in tax and supported by international institutions such as the IMF. We have seen the development and promulgation of OECD BEPS project in the implementation of Transfer Pricing regime in Jamaica, which is based on the OECD standards. Actions 8 – 10 of the BEPS Action Plan contain transfer pricing guidance to assure that transfer pricing outcomes are in line with value creation in relation to intangibles. The IBC and ISRL regimes have, in part, made Barbados an attractive destination for international investors. It is hoped that the implementation of the BEPS project will create certainty for investors in IBC and ISRL entities. The grandfathering date will allow entities licensed as an IBC or ISRL ample time to consult attorneys to see what steps may need to be taken. 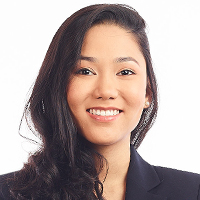 Alyssa Chin is an Associate at Myers, Fletcher & Gordon, and is a member of the firm’s Commercial Department. Helen may be contacted via alyssa.chin@mfg.com.jm or www.myersfletcher.com. This article is for general information purposes only and does not constitute legal advice.